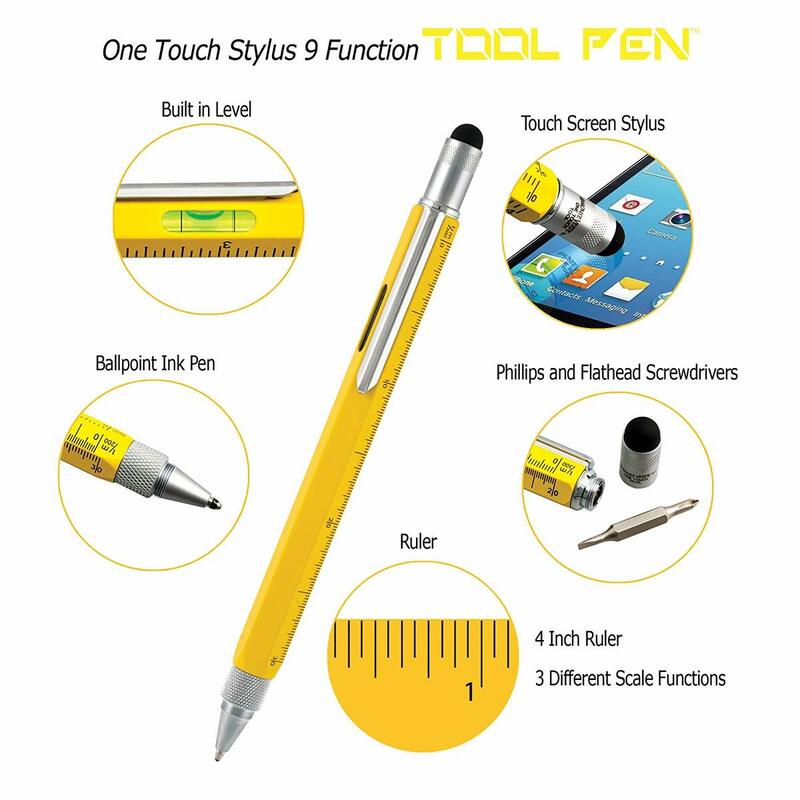 In a fast paced world, having the right tools at hand is crucial, and the Plastic Tool Pen brings many tools in one premium quality writing instrument! The light weight, 6-sided barrel houses our smooth writing Soft-Roll ballpoint at one end and very handy phillips and flat head screwdrivers at the other along with touch screen stylus. On the barrel you will see a built in level, ruler and 2 different scale functions. The chiseled spring clip will hold the Plastic Tool Pen securely in your pocket. Also you can choose metal material as another price. Package: 1 pc/opp bag, 1000 pcs/ctn, 29 lbs/ctn.